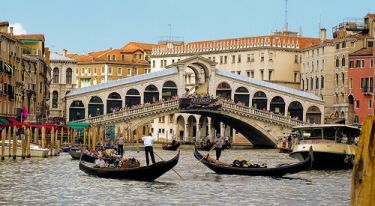 Italy is a South European country with beautiful and warm summers perfect for the beach and other outdoor activities and winters that can be mild. One of the largest countries in South Europe, Italy boasts of having coastlines that would make you happy that you booked a flight out there for your holiday as well as mountains and landscapes that make for a great Kodak moment. Italy is made up of nine popular cities. They include Rome, Milan, Venice and Florence. Milan is where you would go to shop for all of the latest clothing fashions while Florence gets its shine from its beautiful architecture and the art that it showcases. Across in Naples, Italy is the Vesuvius volcano but it is also the home of pizza and some of the best pizzas you would ever taste can be found in restaurants in Naples. Before your holiday ends, remember to visit the city of Piza where the Leaning Tower of Pisa can be found.